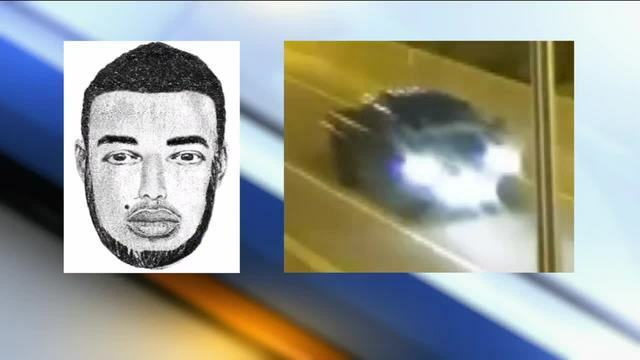 Milwaukee police, working with other law enforcement agencies, released a composite sketch of one of the suspects in a sexual assault case that started in Milwaukee and ended in Kenosha County. According to police, the victim encountered two suspects near I-794 in Milwaukee and they drove her to Kenosha County, where she was assaulted. Police described one suspect they called “Suspect 1” as a Hispanic male, believed to be in his 30s, about 5’6” weighing 160 pounds with a thin build. He reportedly has a mole on the right side of his face above his lip and was last seen wearing a green t-shirt and blue jeans. The second suspect, “Suspect 2” is reported as also a Hispanic male with dark complexion, 5’8” with a husky build. Police believe they are driving a newer gray four-door pickup truck, possibly a Ford F250 with a distinctive white decal in the rear window. Hours before the sexual assault, Kenosha police responded to a call that two men matching the same description driving a pickup truck attempted to abduct a woman coming out of a Buffalo Wild Wings off I-94 in Kenosha. Police believe they could have been armed. Police posted a warning on its Facebook page Sunday afternoon. Anyone with information is asked to call Milwaukee Police Sensitive Crimes at 414-935-7405. Police believe the suspects have ties to the Chicago area.